A section of Alexander Street, between North Road and Regent Street, which was being resurfaced yesterday afternoon. 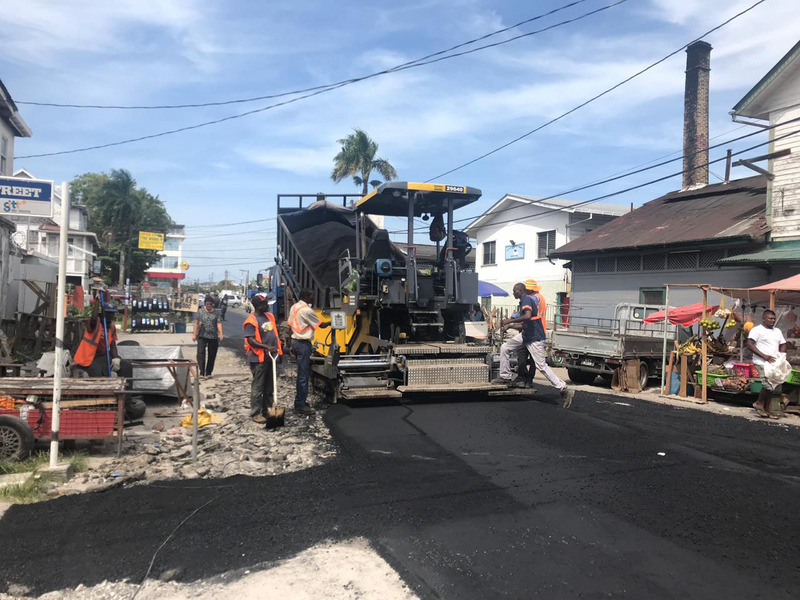 While the ongoing rehabilitation of Alexander Street, between South Road and North Road, has disrupted traffic in central Georgetown during the preceding two days, Chief Works Officer Geoffrey Vaughn says the timing of the works was linked to the availability of labour. The works are currently being done under the supervision of the Public Infrastructure Ministry’s Special Project Unit. Since the start of the works on Thursday, the flow of traffic along the adjoining streets, particularly Regent Street and North Road, has been impeded. As a result, a significant amount of drivers have been failing to observe traffic laws as they navigate through the lines of traffic, resulting in further obstructions. Workers recapping the surface of Alexander Street, between Robb Street and North Road yesterday afternoon. The works are due to be concluded on Sunday. 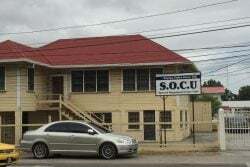 Asked whether the works could not have been done over the weekend, Vaughn cited the limited availability of the unit’s labour force due to its current schedule. According to Vaughn, the ministry is currently working around the clock to complete works under its road maintenance programme. “We have to do the work… we cannot organise when the work will be done at this street or that street… it depends on the labour force and their availability,” he further added. 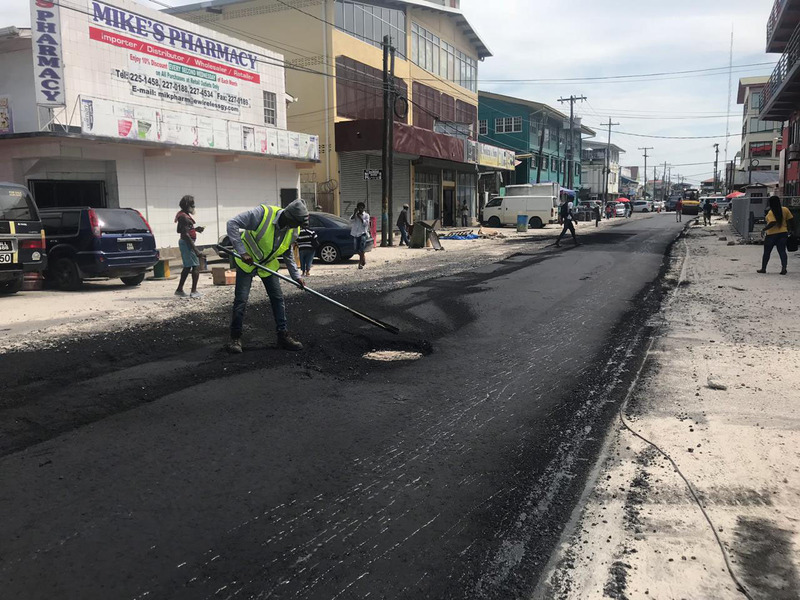 He also noted that they are trying to rehabilitate as many roads as they can and use up the funds allocated to the ministry before the fiscal year comes to an end. Despite a notice being placed in the media to inform drivers of the road works, many seemed to be unaware of the situation. Workers placed an excavator at Robb and Camp streets in a bid to prevent vehicles from venturing into the work site. In the notice, the Minis-try of Public Infrastructure advised commuters to use alternative routes and to observe all caution and directional signs in the vicinity of the construction area.